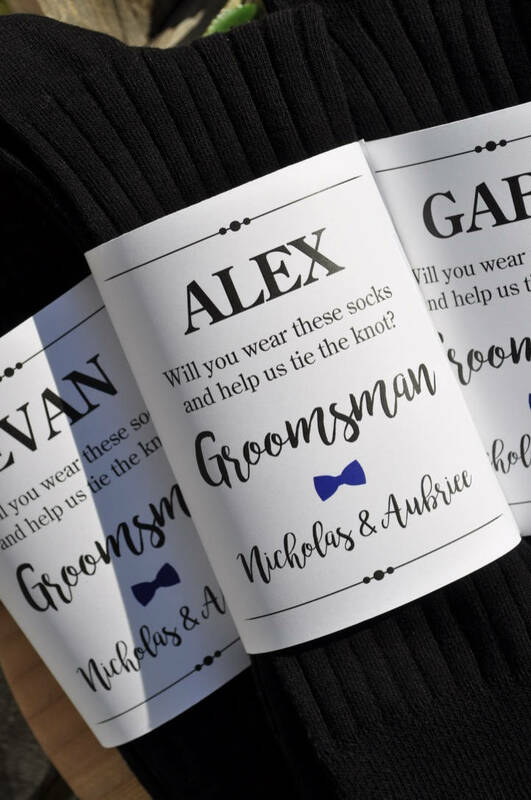 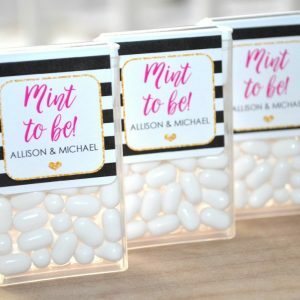 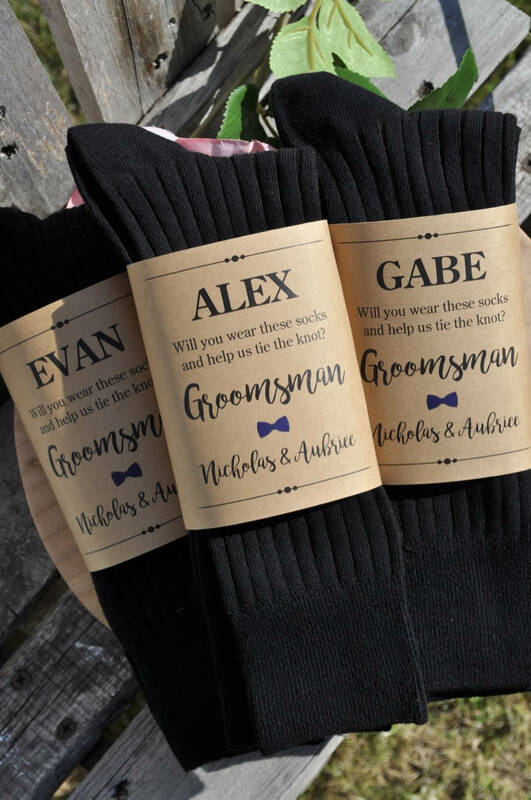 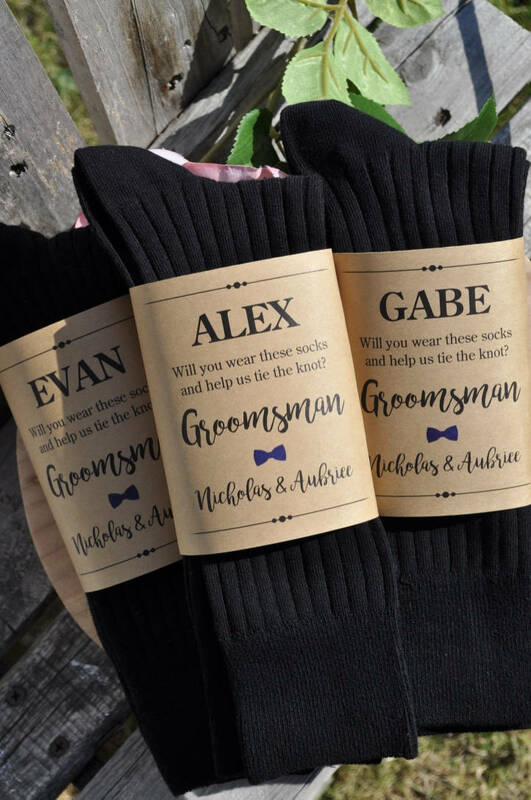 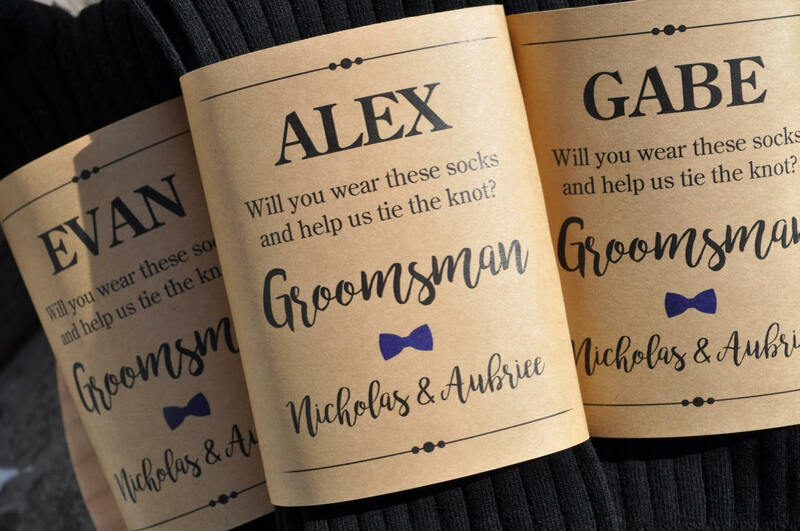 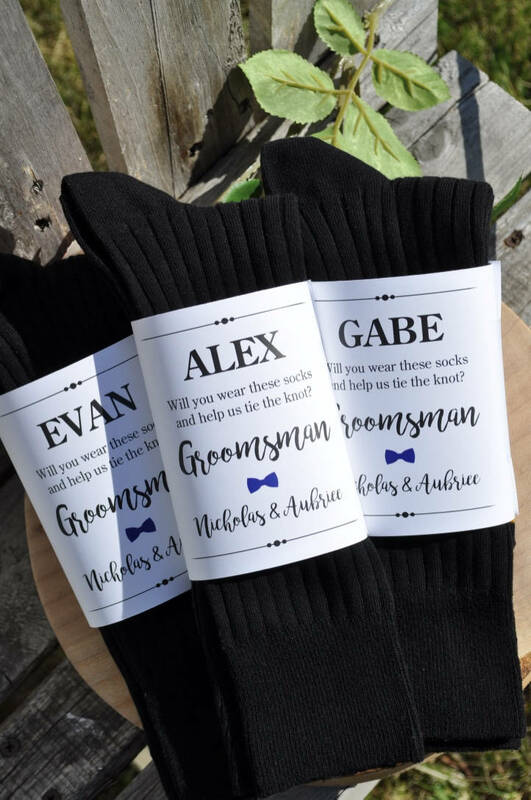 Say thank you to your wedding party with these personalized sock wrappers. 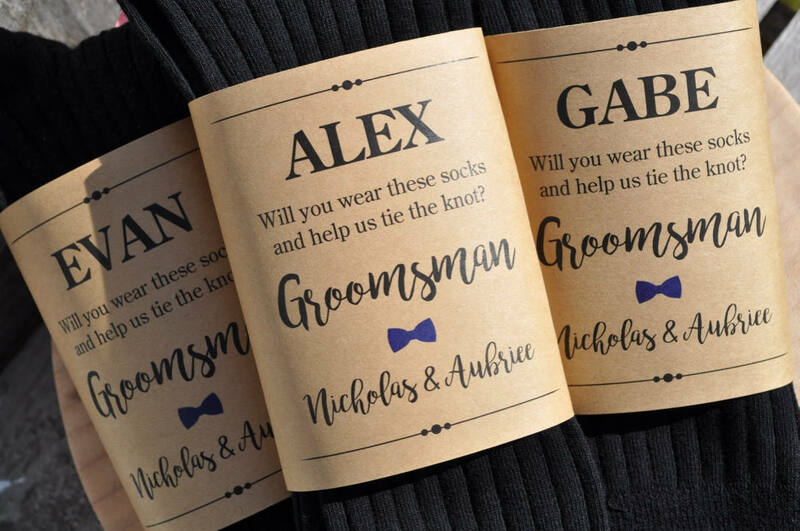 Your choice of Kraft cardstock or White cardstock. 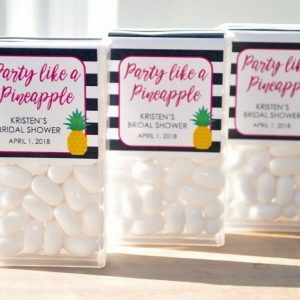 Size is 4.25″ x 11″. 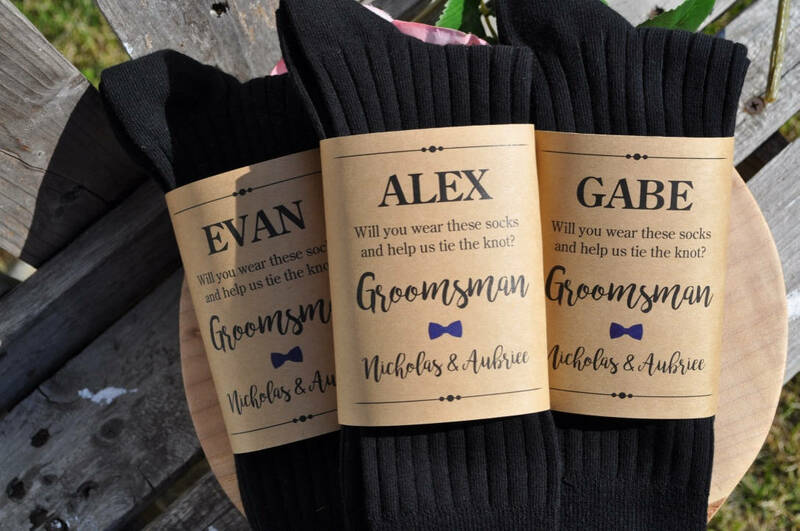 Simply wrap around your socks and tape in back. 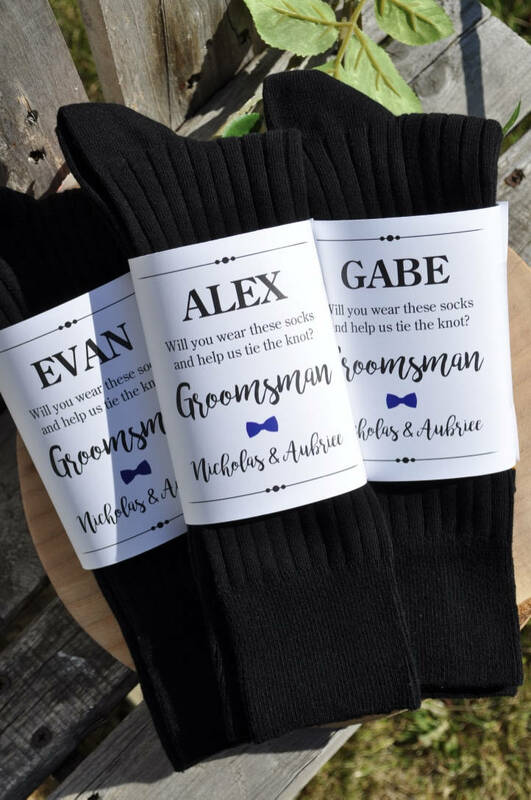 You will receive (3) sock wrappers. 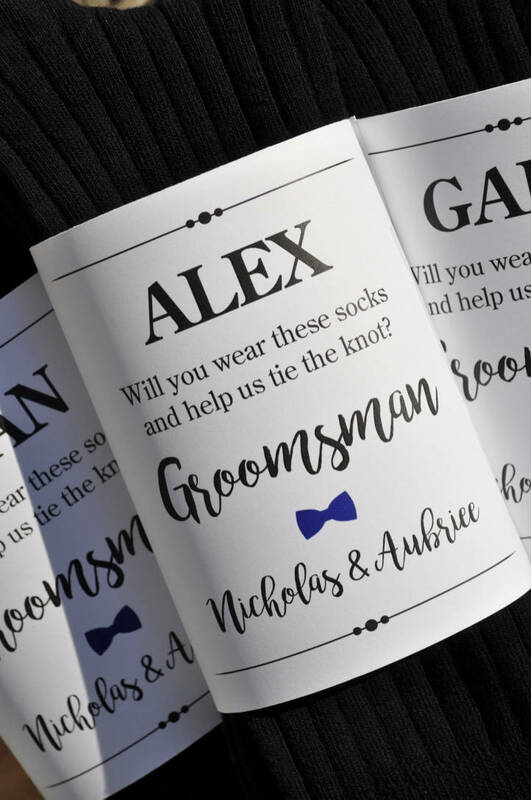 You can personalize with any combination of wedding party titles. 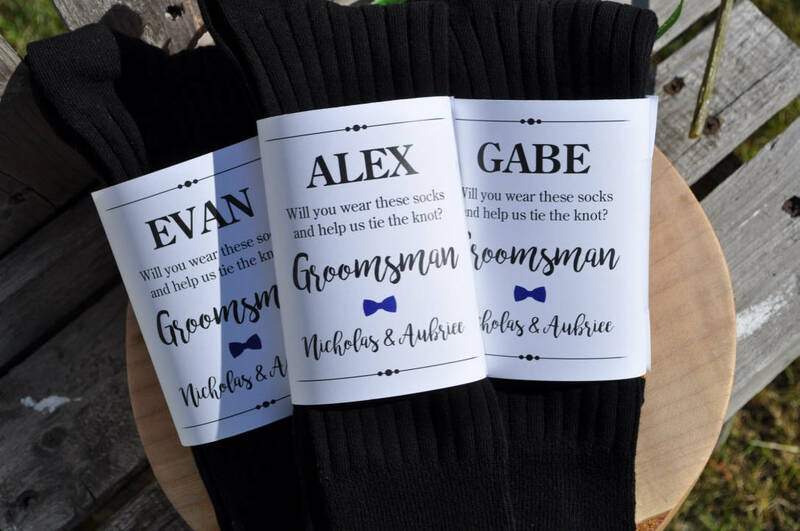 (Socks NOT included).